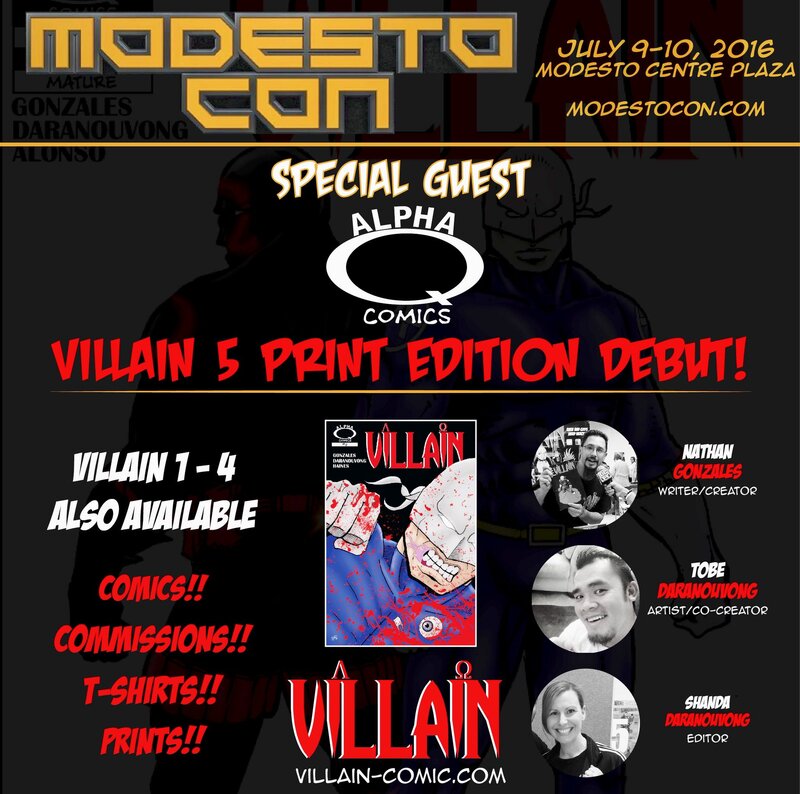 We’re so excited to be Special Guests at Modesto-Con 2016! July 9-10 at the Modesto Centre Plaza! Two days of comic awesomeness! There will be some awesome guests including actors, cosplayers, and mauch more! 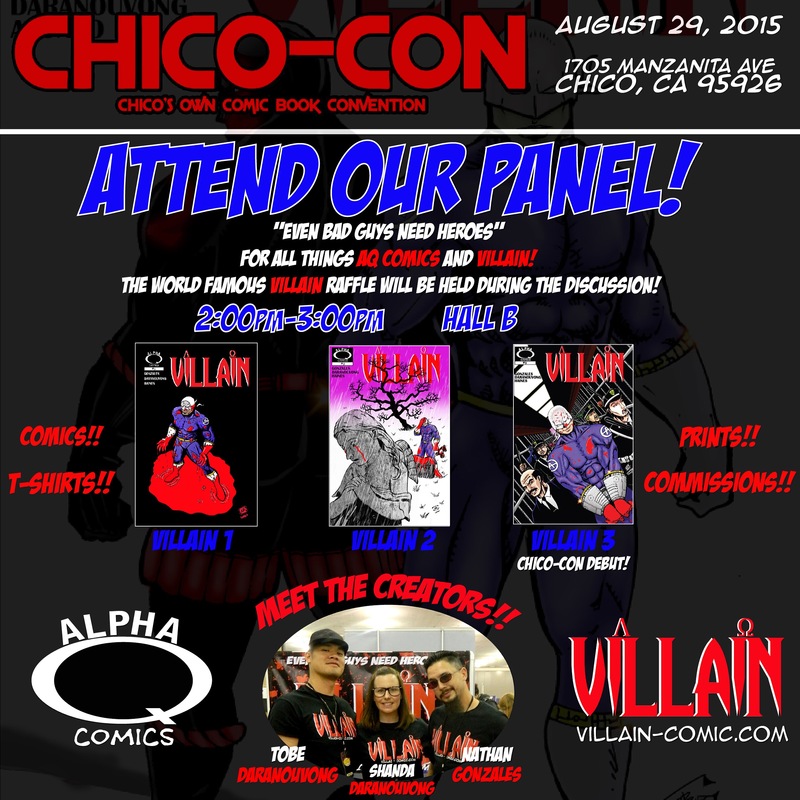 Alpha Q Comics will have a booth debuting the printed edition of VILLAIN 5, Villain 1-4, and t-shirts! Tobe will be selling comic art prints and doing commissions. Also, don’t forget about the world famous VILLAIN raffle! Making a long awaited comeback. Win prizes! Nathan and Tobe will also be on a panel to discuss how to start and publish your own comic series! You don’t wanna miss this show! Hope to see you there, VILLAINS! This is the video of the panel we had at Chico-Con Year Two! It explains everything you need to know to get interested in VILLAIN, Alpha Q Comics, and a bit about us as the creators and our roles within the project. Watch and share! Let’s spread the VILLAIN word!